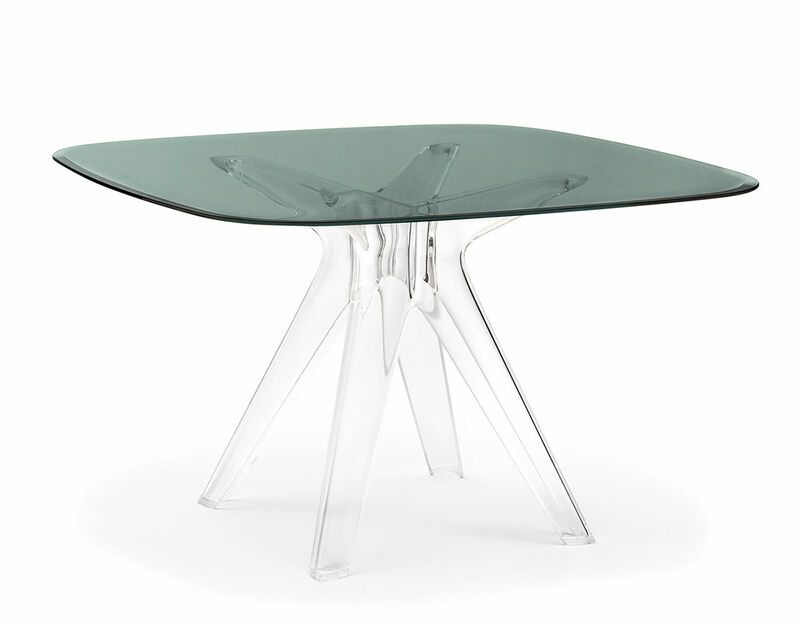 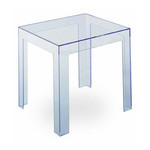 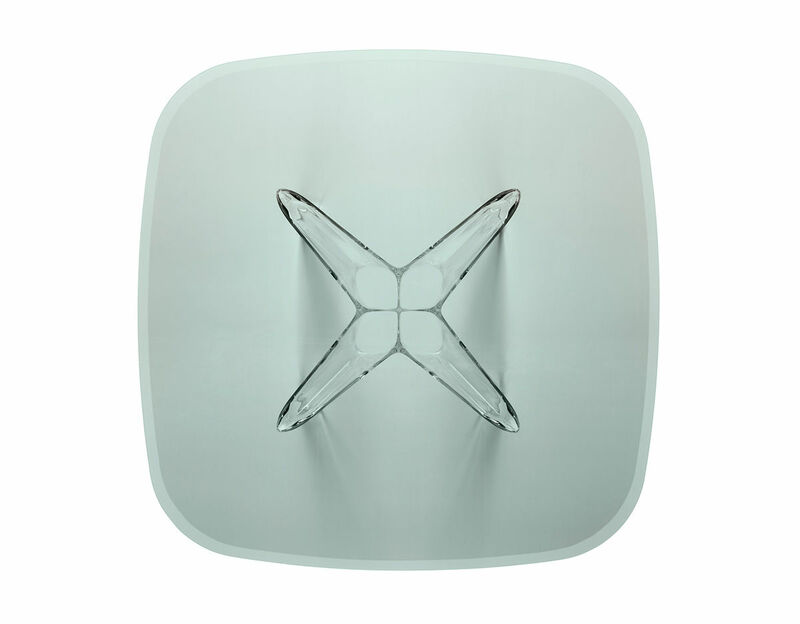 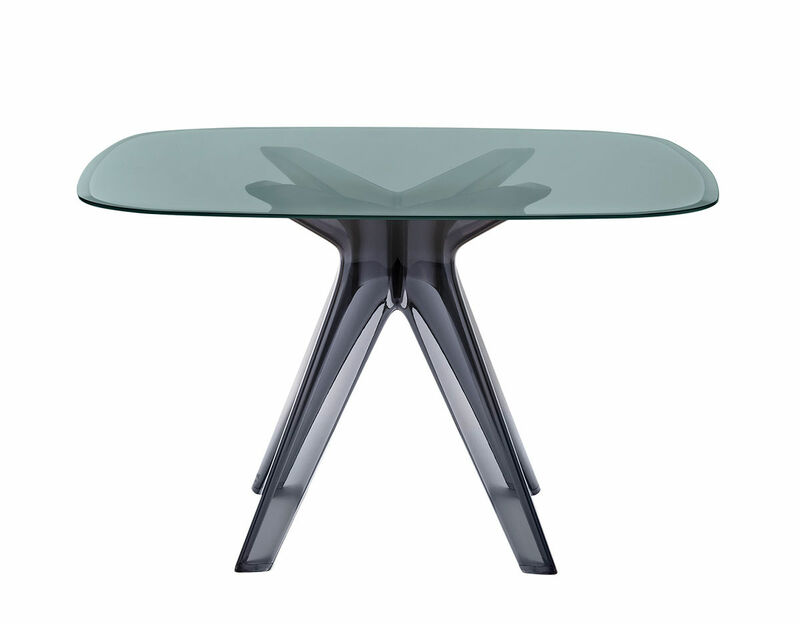 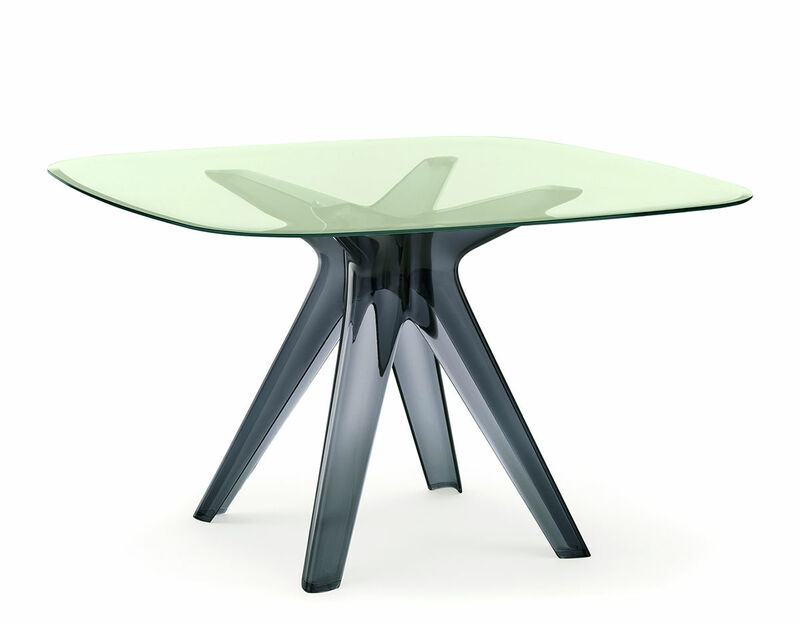 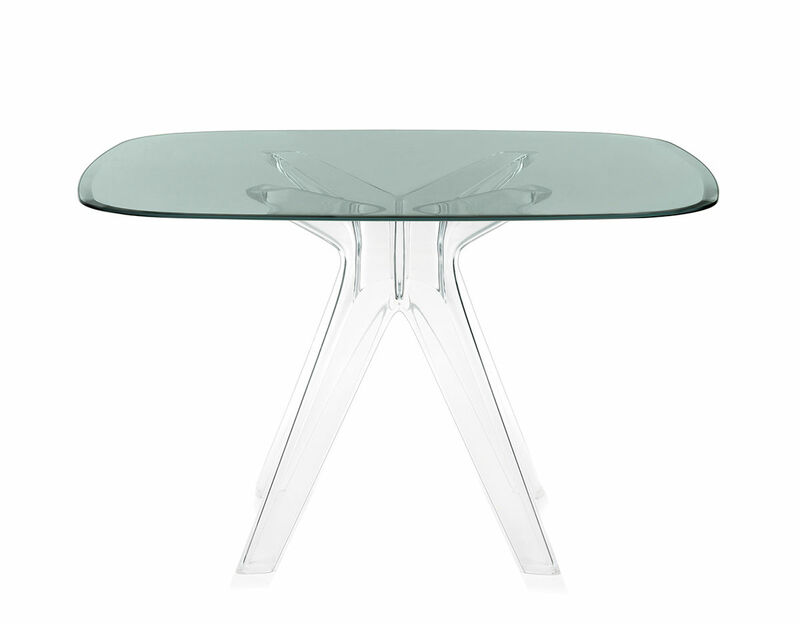 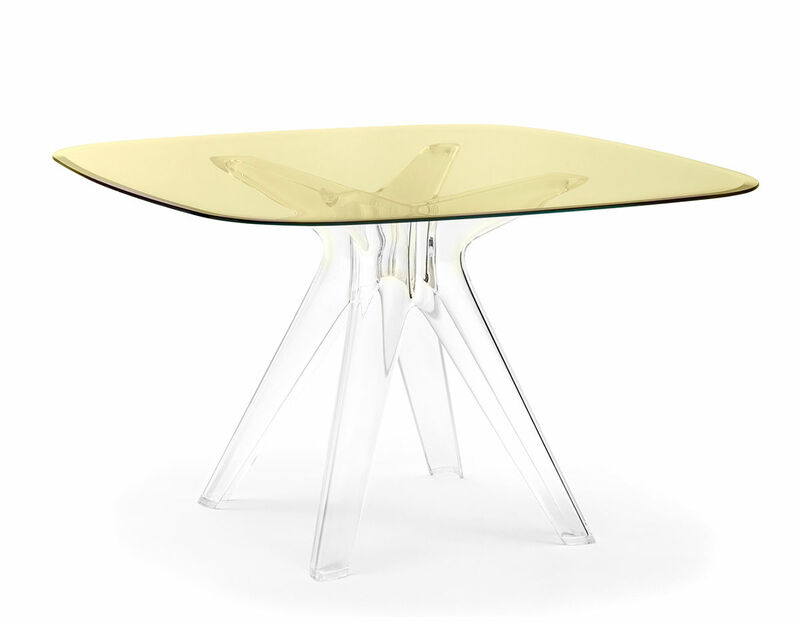 Sir Gio table represents yet another innovative twist in the use of polycarbonate. 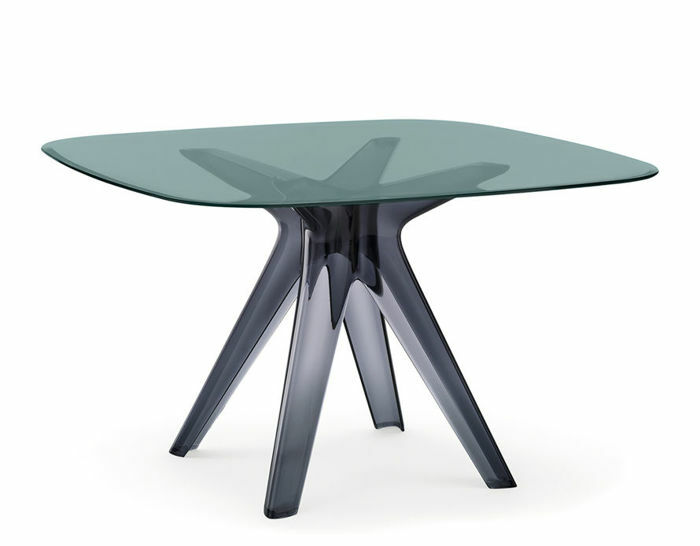 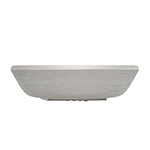 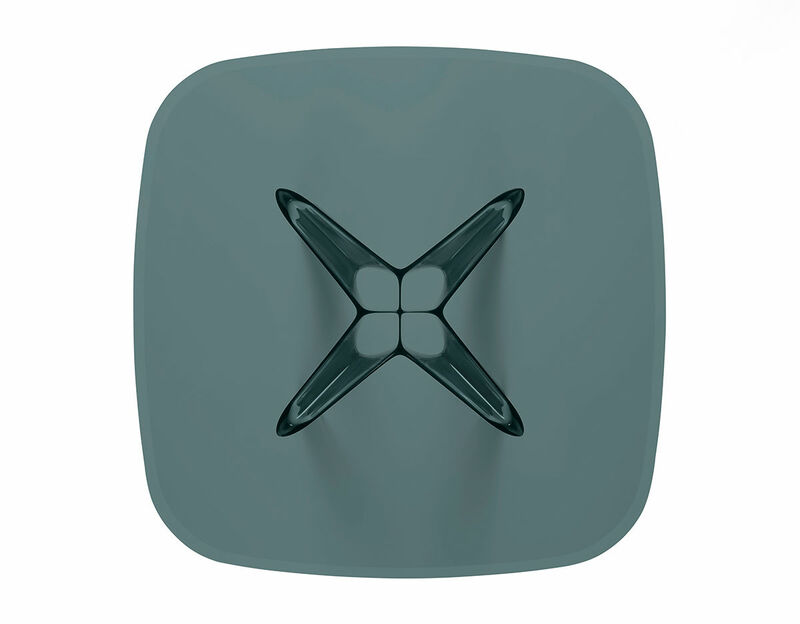 The central base is produced using a mold of elevated technological innovation: the molded plastic material ensures excellent performance and stability to support a glass top measuring 120 cm. 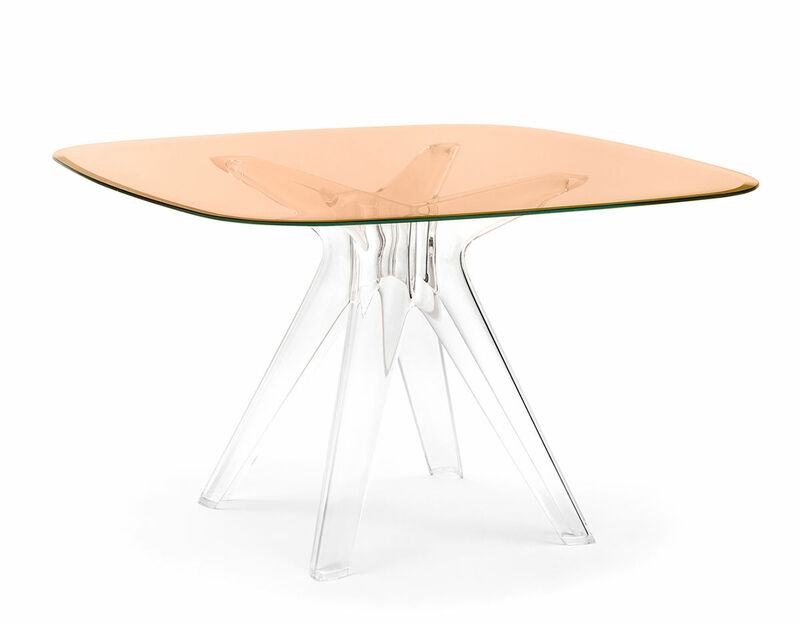 The table offers various possible combinations: in fact, the base is available in 2 finishes (transparent and fumé) to team up with 5 tops in the color variants of bronze, dusty pink, fumé, green or yellow. 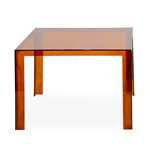 By mixing the colors, it is possible to achieve different solutions and create highly colorful tables for young, more informal interiors, or more classical versions perfectly suited to elegant, minimalist rooms. 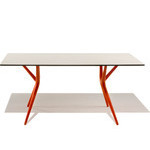 One table that lends itself to a wide range of applications. 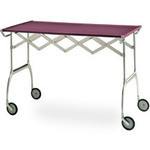 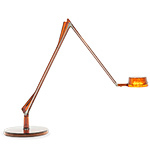 $2,255.00 + free shipping in the continental U.S.